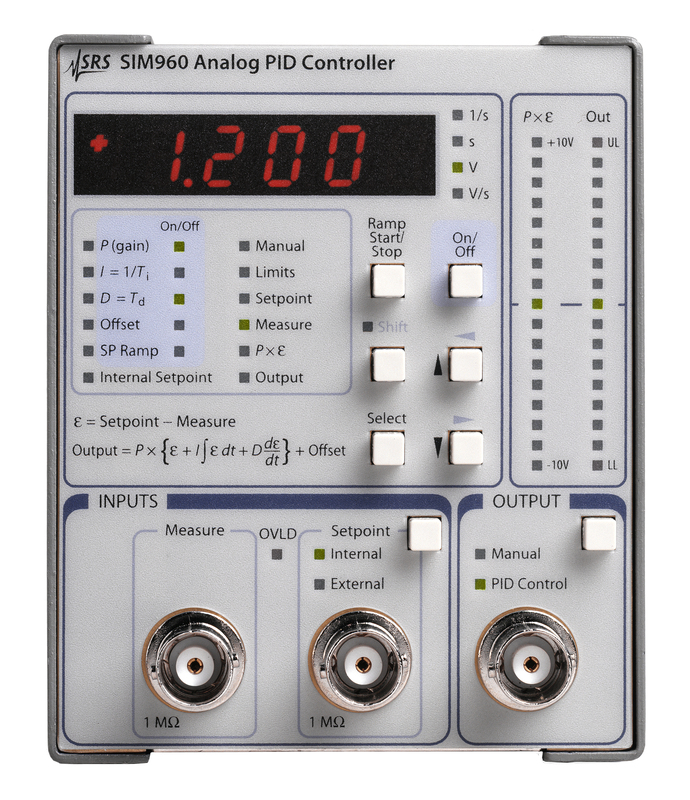 The SIM960 Analog PID Controller is a unique instrument intended for the most demanding control applications. It combines analog signal handling with digital control, giving you the best of both worlds. High-bandwidth (100 kHz) control loops may be implemented without discrete time or quantization artifacts. The low-noise front end brings better performance to noise sensitive applications including laser power and wavelength stabilization, cryogenics, scanning probe microscopy, and others. User settable gain of up to 1000×means greater flexibility, reducing the need for input preamplification. The unit can be used together with the SIM921 AC Resistance Bridge providing a flexible and cost-effective temperature control solution. An internal ramp generator can control voltage slew rate between predefined start and stop setpoints. The output is clamped within upper and lower user limits to guard against system overload. The conditional integration electronics provide anti-windup on the integrating capacitors, leading to faster recovery from saturation conditions. Front-panel control enables easy modification of system parameters and convenient monitoring of input and output signals. Power and serial communication are via a 15-pin D-sub connector which mates with the SIM900 mainframe. 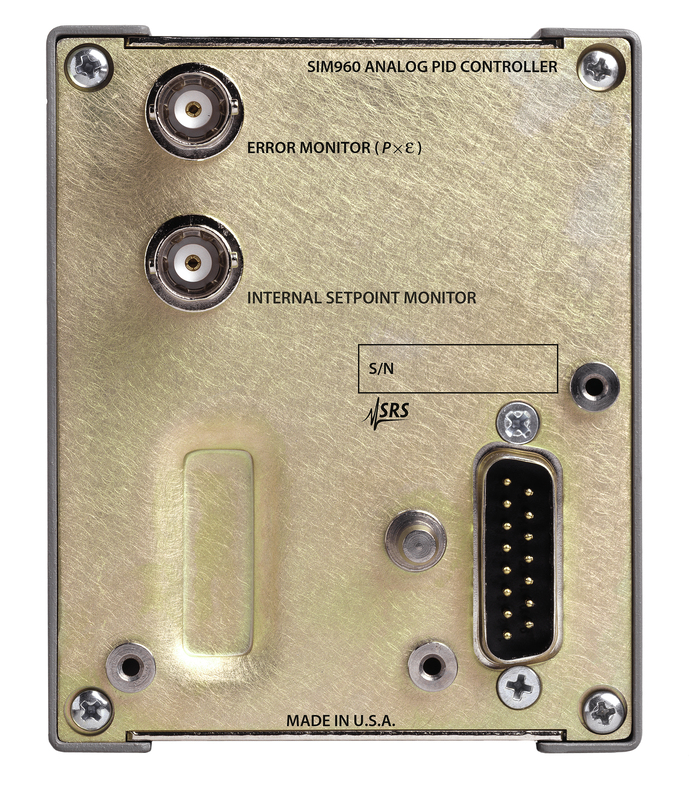 All instrument parameters can be set and queried via the serial interface.